Are Templates, Themes and UI Kits Killing the Web? Design resources aren't anything new, although they have evolved over the years to cater for the different challenges that designers are facing. We've seen a rise in UI kits, although not necessarily a decline in artistic resources like textures and logo templates. We've also seen a significant rise in UI kits for Sketch, and a decline in them for Photoshop. Even new-kid-on-the-block Adobe XD is seeing some love, with the Adobe team themselves even creating a few UI kits. Whether recommended or not, it's safe to say that downloadable templates, themes and UI kits are definitely filling up our Dribbble timelines, social media feeds and newsletters much more than they ever did before, not only because designers can create them to earn a little extra income, but because they can release them for free for publicity, or simply to hone and show off their skills. Are they useful? Are they harmful? Let's take a look. Cutting Costs Are Design Resources the Answer? At first, yes, but there are downsides in the long run. Design resources are ready-made, so they're easy to implement, and they certainly save time and money because of this. But…those that aren't UX nerds will naturally be unaware of the downsides, and those they are could harm their reputation by not conveying these long-term downsides to low-budget clients. If you're a designer or developer that's making use of design resources (which is totally fine in some cases), you'd need to consider the long-term implications of what doing that really means for the client/customer and their project goals. Sure, using a theme/template saves a lot of time, but they're also limited, especially way down the line when the project goals become clearer and there are targets that need to be met. Improvements and tweaks aren't something that's always doable with ready-made design resources. In short: deciding whether to bootstrap with downloadable design resources is something that needs to be researched beforehand, and discussed with a range of experts who can highlight the benefits and downsides of taking that route. Design Resources Are They Killing Our Industry? Great companies will always hire designers, so no. 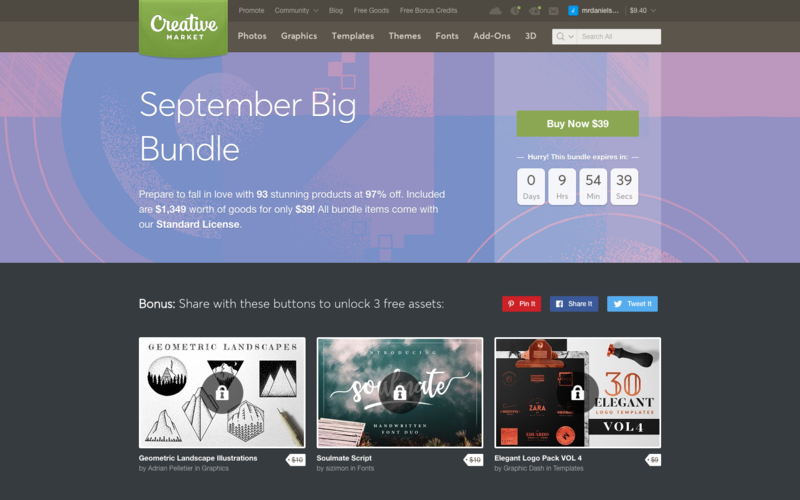 Because of the sheer amount of design resources and marketplaces available these days, the fierce competition between theme creators has made them easy to come by, and thus crazy cheap. But, are unaware entrepreneurs and business owners under the impression that templates, themes and UI kits often come with setbacks, and that they may have traded reduced costs for less-than-optimal UX? Possibly, but you can do something about that. Firstly, a customer using a template instead of hiring a designer or developer, was probably never going to be your customer anyway—this is important to note. In order to reduce costs, customers are looking for speed, simplicity, and something they can manage themselves. So, unless you work for free, it's true, they were never going to be your customer anyway. UX (and by UX I mean visual design, website loading times, conversion optimisation, search engine optimisation and so on—a whole range of things contribute to overall UX, to be fair), might not be a concern for a customer because they don't know anything about UX. You can't care about something you don't know about. If you're nonetheless worried about being forced out of the industry by themes that can be implemented without your help, then you must convey the value of what you offer as a designer and/or developer, but also recognize when a customer's budget doesn't allow for this added-value. Some customers simply can't employ you to do one better, and other customer's simply won't. And that's the harsh reality of it. If you're not conveying the benefits of hiring a designer and/or developer when budgets allow, then yes, the web as we know it will die. We need competition in order to keep the web fair, useful and affordable, and the only way to do that to give new companies a leg to stand on, and one of the vital ways that we can do that is through design. Although bigger companies will always hire designers, failure to speak up will mean that new technology might not see the light of day, and bigger companies experiencing less competition will become more expensive. It's actually a big deal, when you think about it. Design is important. So is active, collaborative development, and this is why we've built Sympli, because nothing can replace iteration, feedback and honest, open communication, especially when it's super-easy to export designs to Sympli and talk about them contextually. When design becomes more about tweaking themes than solving UX through deep iteration, we're sacrificing conversions. Downloadable design resources like templates, themes and UI kits are favored for the time that they save and the costs that they cut…and yes, there are many use-cases where the use of design resources can be damaging long-term. However, there are as many use-cases where they can be massively useful, such as bootstrapping a design for the basis of testing and prototyping. It's easy to hate them as designers and developers, but they're useful sometimes. Reiteration can be costly, and a ready-made design resource that near-enough fits the bill can tell us a lot about whether or not we're heading in the right direction. As long as we're not under the destructive illusion that themes are always an instant, foolproof solution, the use of them is fine and encouraged. I'd be interested to hear your thoughts, so leave a comment! Do Designers Even Need Portfolios Anymore?